marsboy House-training Doggy Door Bells were created BY everyday dog owners FOR everyday dog owners. PREMIUM QUALITY: We hand selected this specific ribbon for its stylish look and durability. Not only does it look great but it is built to last. 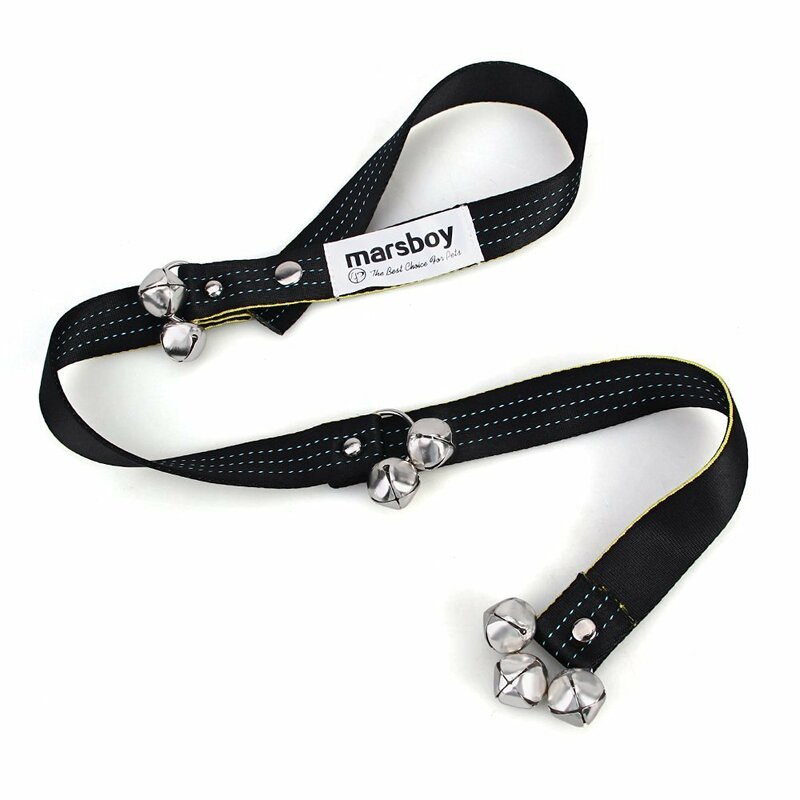 We manufactured the marsboy potty bell with a thicker nylon ribbon (3.0mm) that is sure to withstand the toughest tugs, scratches, and bites! 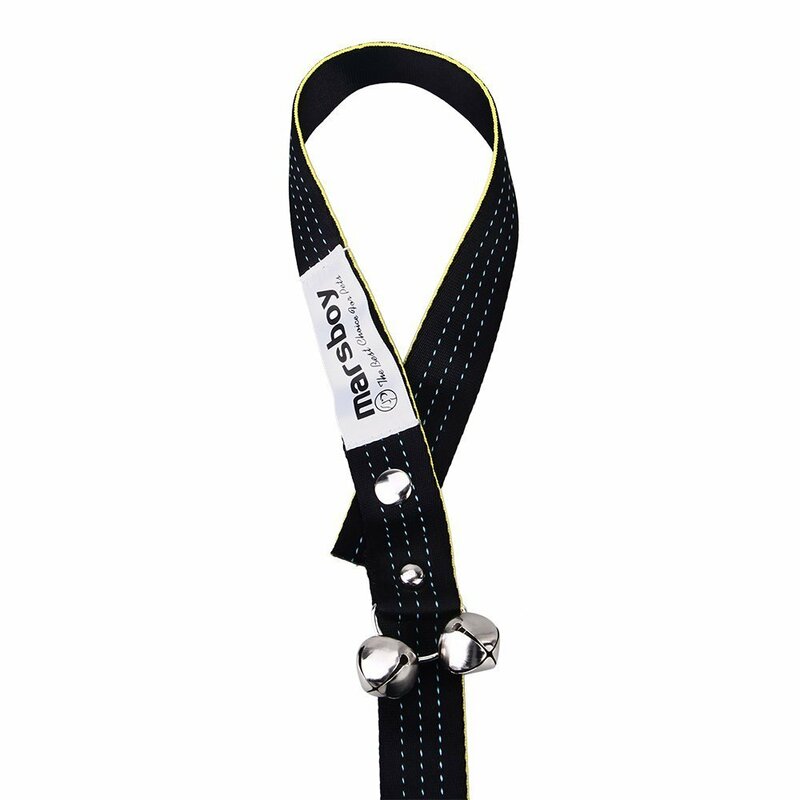 DURABLE BELLS: After an exhaustive search, we have identified the PERFECT potty training dog bell. 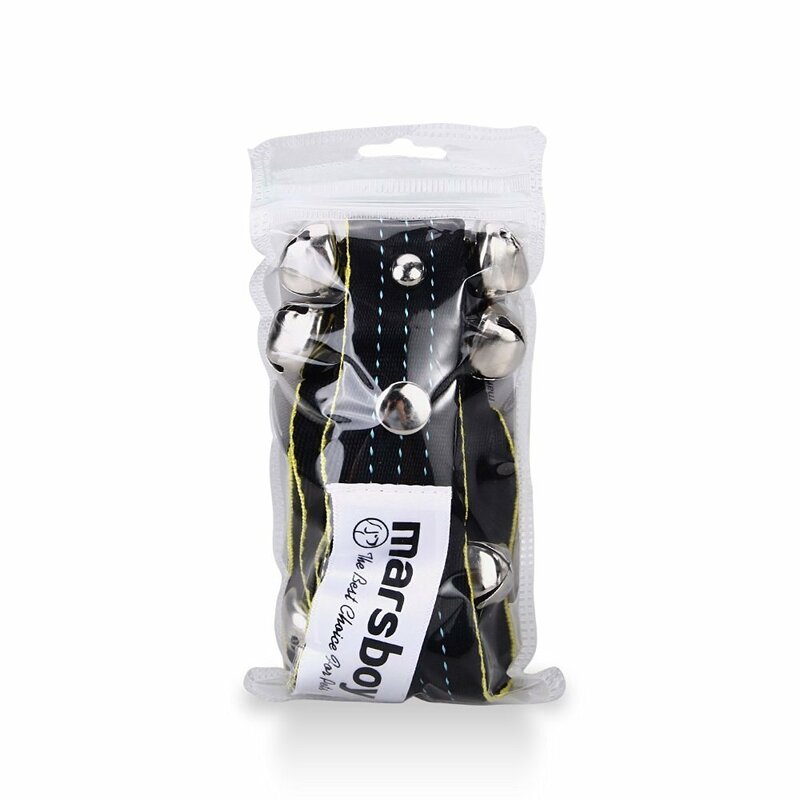 With sound quality and durability in mind, marsboy Potty Bells are manufactured with large thick-walled jingle bells made from a specific blend of metals. This not only makes them sound great, but also gives them enough strength to resist stress from the most playful dogs. 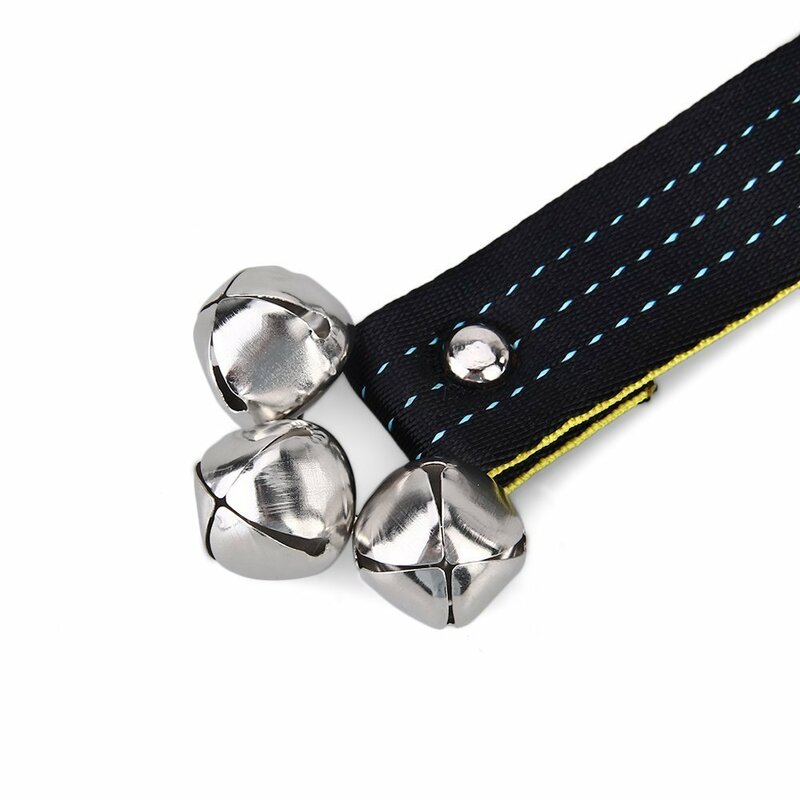 The bells are finished with a sleek silver coating that is sure to look good in any home! 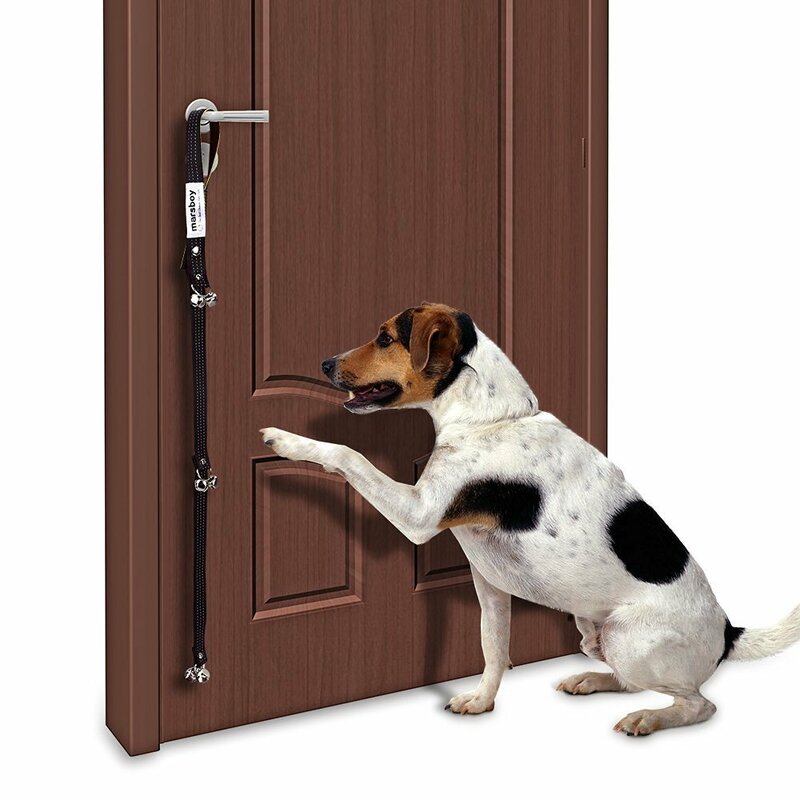 REINFORCED RIVET: In order to accommodate all doggy homes we added a high quality reinforced rivet that snaps open to connect around any door knob, handle, or hook. 100% MONEY BACK GUARANTEE: We are so proud of the product quality that we stand behind a 100% money back guarantee! If you are not impressed with the product, let us know and we will refund every penny!